Last week, British Prime Minister David Cameron convened the London Anti-Corruption Summit, an international gathering of heads of state, heads of governments, and leaders of international organisations. I participated as CEO of the Global Organization of Parliamentarians Against Corruption (GOPAC). Prior to the Summit, I wrote an open letter to Cameron, urging him to thwart the ability of the corrupt to hide their illicit wealth and the evidence of their crimes behind a veil of corporate anonymity in Britain's Overseas Territories and Crown Dependencies. I am grateful to GOPAC's British and global parliamentarians for endorsing the letter, which was subsequently published by the Huffington Post. 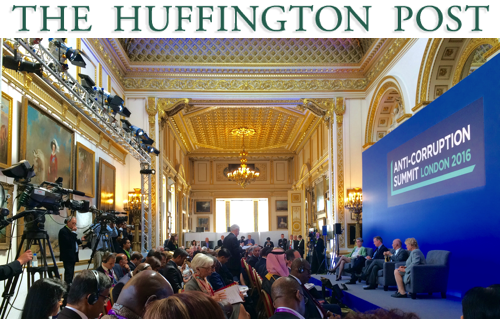 We are writing on behalf of parliamentarians from around the world and from across Britain's political parties, to make a common appeal to you, as we prepare for the Anti-Corruption Summit you are convening in London. To give but one example, an estimated £700 billion is siphoned out of developing countries each year through money laundering and other corrupt practices. By contrast, the total cost of achieving all eight UN Millennium Development Goals would have been £350 billion. There is a better world within our grasp: a world without hunger; without thirst; without needless disease. But corruption is stealing that world from us. By its nature, corruption breeds in the dark and withers under the glare of public scrutiny. As a result, we believe that the most powerful tools to combat corruption are publicly accessible registers of beneficial ownership of corporations. These registers ensure that the true owners of corporations are known to public institutions, media, and citizens. They thwart the ability of the corrupt to hide their illicit wealth and the evidence of their crimes behind a veil of corporate anonymity. But we are deeply concerned that this potential will be left unrealised because of one catastrophic gap: Britain's Overseas Territories and Crown Dependencies. The Panama Papers have starkly revealed that many of these jurisdictions have become the venues of choice for the anonymous corporations that facilitate tax evasion, organised crime, and terrorist financing. Indeed, more than half the companies exposed by the Panama Papers were based in the British Virgin Islands alone.